At least at J. Pfenny’s sports bar, it’ll be business as usual next week when legislators return to the Missouri capital for their annual veto session. They’ll also be gathering for the first time since the furor over sexual misconduct allegations involving interns sent two top state legislators packing. The alcohol will be flowing as several lawmakers, or hopefuls, hold simultaneous fundraisers at the popular watering hole, situated just a couple blocks from the Capitol building. “Pretty much, it’s going to pack the place,’’ said bar manager Jay Cheshire. The events are slated for the eve of the session, when legislators will consider whether to try to override Gov. Jay Nixon’s vetoes of several bills approved during the regular five-month session that ended in May. The lawmakers also are expected to discuss how to address the sexual misconduct episodes, which put the spotlight on an atmosphere that some say encourages inappropriate behavior. Speaker of the House Todd Richardson, R-Poplar Bluff, talks with reporters right after his selection. New House Speaker Todd Richardson, R-Poplar Bluff, has made a point since his surprise swearing-in last May of emphasizing his quest to revamp that poor image — and curtail the embarrassing activities — that led to the resignation of Speaker John Diehl during the final days of the session. 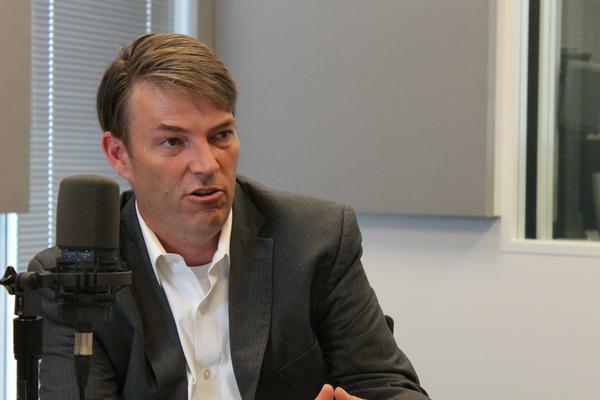 “We have a responsibility as stewards of the institution right now to try to make it better,” he said during an appearance this summer on St. Louis Public Radio’s “Politically Speaking” podcast. But others are pessimistic that legislative leaders will follow through. “I’m still waiting for some concrete proposals from leadership,’’ said Rep. Stacey Newman, D-Richmond Heights. 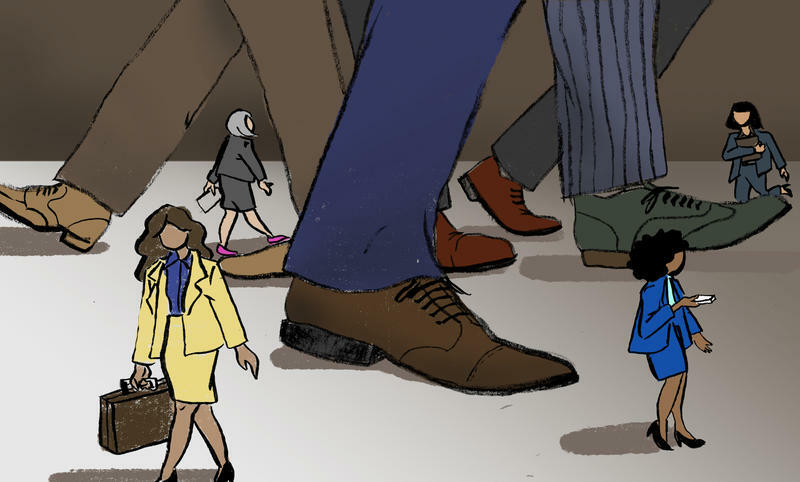 Newman is particularly concerned that legislators may choose to avoid the broader issues — notably, the treatment of women in state government — that have become entwined in the controversy over college-age interns. Diehl, R-Town and Country, stepped down last May after his sexually suggestive text messages with a college-age intern became public. A few weeks later, state Sen. Paul LeVota, D- Independence, also resigned after two interns accused him of unwanted sexual advances, some of them via text messages. One of those interns was Lacy Hembree, a senior majoring in political science at Central Missouri State University in Warrensburg. She’s now working with Sen. Claire McCaskill, D-Mo., on creating some sort of advocacy system in the state Capitol to offer advice and counsel to interns. Hembree said in an interview that several other interns had been involved with lawmakers, or fending off their advances, during her brief tenure in the state Capitol last spring. Diehl briefly speaks with reporters after issuing a statement in which he apologized for "poor judgment" regarding texts he had with a female intern. 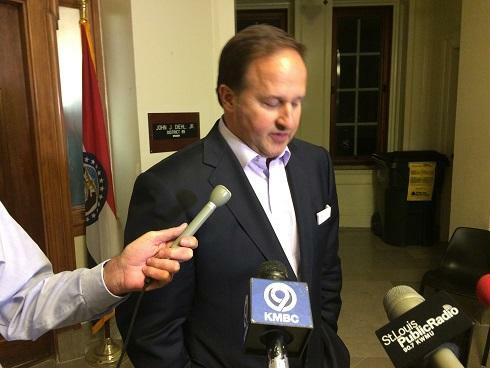 Diehl wasn’t the first Missouri House speaker to leave amid controversy over his personal behavior. In fact, most of the speakers over the last 25 years have attracted unwanted attention — and in a couple cases, legal troubles. But in Diehl’s case, the spotlight was particularly bright, in part because of the publicity over his text messages — a technology that wasn’t around a few years ago. Diehl had to back away from denying any such communications with the intern because of screen shots. Steve Tilley, a Republican from Perryville, is a former House speaker who’s now a prominent lobbyist. He resigned from his post a few months early and dropped a strong 2012 bid for lieutenant governor, because of marital problems. Tilley wasn’t accused of inappropriate public behavior. But he said he has witnessed in recent years the impact of social media, like Twitter and Facebook, where people’s once-private thoughts and actions may gain a public audience. “In social media, it’s the Wild Wild West,” Tilley observed. New Jefferson City Mayor Carrie Tergin, who operates a Hallmark gift shop within a block of the Capitol, is aware of the controversies and some of the disparaging talk about the state capital. While critical of any inappropriate actions, Tergin rejects any characterizations of Jefferson City as a “party” town. “Overall, we’re a very calm community, very level-headed,’’ she says of the mid-size city. But she acknowledges that Jefferson City’s fortunes are closely tied to those of the state government, which occupies several blocks in the middle of downtown. “It’s a big part of our economy,’’ she said. A look at the city’s sales-tax revenue, for example, shows that some of its most profitable months include the time when the General Assembly is in session. In fact, Jefferson City is a company town — the “company’’ being Missouri state government. With a population of about 43,000, Jefferson City was built along the banks of the Missouri River — at the heart of Missouri’s then-frontier — in 1821, when its namesake, Thomas Jefferson, was still alive. The new capital was set up on a midpoint in the river between St. Louis and Kansas City, but it’s not on Missouri’s main interstate thoroughfares. One of the biggest state highways, U.S. 54, treats the state capital as a pass-through on the way to the tourist mecca of the Lake of the Ozarks. A.J. Bockelman, longtime head of PROMO, the state’s biggest gay-rights group, says Jefferson City’s location is a key reason for its unusual environment. “Jefferson City is its own island,” he said. “Outside of the role of government, few would visit there intentionally. The isolated nature of the town itself fosters a sense of ‘what happens in Jefferson City stays in Jefferson City.’"
Jack Cardetti, a consultant and former Democratic aide, suspects that legislative term limits — in place since 1993 — are partially to blame. He suggests that lawmakers planning a career in the General Assembly, as opposed to the eight-year limit, might be more careful about their behavior. But McCaskill points to her days as a college intern in the state Capitol more than 40 years ago, where she also was the target of sexual harassment. She maintains that the state capital's problem is that little has changed. State Rep. Newman, for example, says she’s still referred to as “little lady’’ during some committee meetings. Consultant Brittany Burke believes that there’s obvious gender bias in the state Capitol that needs to be addressed. Burke was in the news a few months ago when she reported a sexual assault to police. Burke, a former aide to Gov. Jay Nixon, said she was stunned when she began her consultant business and learned that male consultants and lobbyists often were paid far more than their female counterparts. State Rep. Cloria Brown, a Republican from south St. Louis County, is a former business executive. She says she’s seen and experienced none of the misbehavior that some have cited. But she adds that Diehl’s actions wouldn’t be tolerated in the private sector. As it stands, the General Assembly is expecting a report from a panel set up by Richardson to make suggestions on how best to improve the environment for interns. But Newman fears the suggestions won’t go far enough. So far, legislative leaders are saying little. Meanwhile, Allen Tatman, the owner of Paddy Malone’s Pub in Jefferson City — also within walking distance of the Missouri Capitol — blames any problems on a few arrogant legislators. Turn into St. Louis on the Air at noon today, for a discussion of ethics issues and the Missouri Legislature. 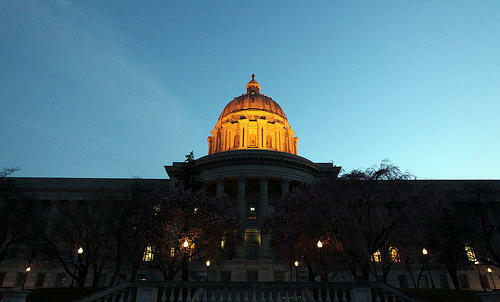 Check back online Thursday for a look at what has been proposed by legislators to address conduct. Missouri House Speaker Todd Richardson is maintaining that a proposed new dress code for interns is not, and will not, be among the recommendations for improving their working conditions. House members have been working on several suggestions, which Richardson says will be released at a later date. Within the outcry over state Sen. Paul LeVota’s resignation, one response in particular stood out. It wasn’t from a Democratic heavy-hitter like Sen. Claire McCaskill or Gov. Jay Nixon. And it didn’t come from a pundit or a journalist. The most poignant reply came from Rachel Gonzalez, a 16-year-old student who is president of the High School Democrats of Missouri. 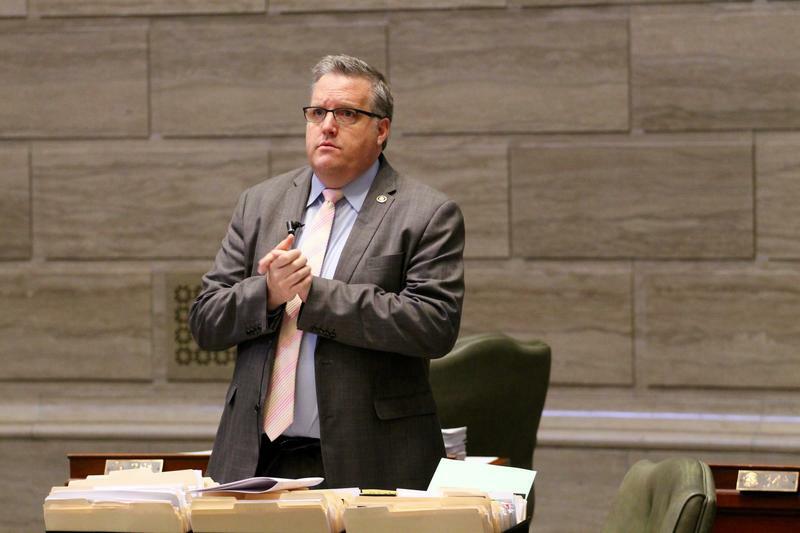 On this edition of the Politically Speaking podcast, St. Louis Public Radio’s Jason Rosenbaum and Jo Mannies welcome back House Speaker Todd Richardson to the program. Facing heavy pressure from some of his party's top officials, state Sen. Paul LeVota announced Friday night that he was resigning from his seat. In an announcement posted to his Facebook page, the Democrat from Independence cited "media attention" as being a "distraction from doing the people's work." 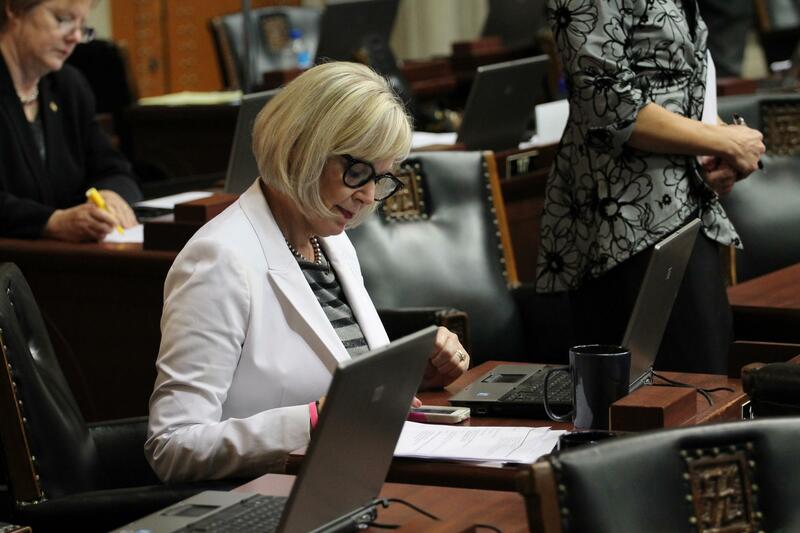 The Missouri Senate detailed sexual harassment and retaliation allegations in a report released on Wednesday.